Quality education forms the foundation for a successful life. However, the same quality education comes at high-cost, and is not available to everyone easily. This is more specific to those who rely solely on merit. This particular trend has, in a lot of ways, accelerated the importance of education loans. However, understand what you’re diving into and take into account the liability that comes as a part of the package. If you are not completely clear about the terms and conditions that make an important aspect of the loan, do spend some time reading about it. Nonetheless, there isn’t a lot to worry about because the following tips will come in handy. Once you have understood your finances in the context of aforementioned points, draw up a budget and financial plan for the course of your studies. This will help you determine the amount of loan you need. Depending on your stage in life, you may either have a credit history already or none at all. If you do have a credit history, credit bureaus like CIBIL give you a credit score. Make sure you have a good credit score because this will be an important factor that banks will consider before approving your loan. For first-time credit users, a credit score may not be available. In such case, repaying your education loan can help you build a good credit history for future loans. 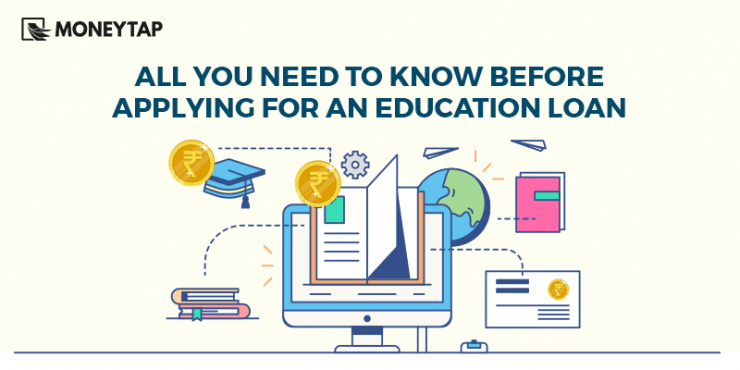 Education Loan – What’s on Offer? Now that you know how and where to initiate, find out about various schemes in different banks. You can avail an education loan to pursue a wide range of academic courses starting from vocational courses through graduation and post-graduation. Some education loans are available for certain certificate courses as well. Primary determinants for the applicable loan amount depends on the applicant’s choice of course and the family’s annual income. Loan amounts below Rs. 4 lakhs do not require a collateral. However, HDFC offers a loan amount of up to Rs. 7.5 lakhs without any collateral. Loan amounts can vary from a minimum of Rs. 10 lakhs to a maximum of Rs. 15 lakhs for studying within India. You can avail loan to the quantum of Rs. 20 lakhs for a foreign university. However, a few banks such as Axis Bank, for example, offers a loan of up to Rs. 75 lakhs for education in foreign countries. Female students can expect discounts and/or lower interest rates by few banks. Central Scheme to provide Interest subsidy (CSIS)’. The Ministry of Human Resource Development, Government of India, sponsors this interest subsidy scheme to help students from the economically backward sections of society. Once you have narrowed down your requirements to pick the right financier, you need to understand the loan application procedure and the repayment options. Remember that this is just an overview and the terms and conditions might vary depending on the bank that you choose. Note: A co-applicant is mandatory for all full time programs. Co-applicant could be Parent/ Guardian or Spouse (if married) / Parent-in-law (if married). Repayment periods in India typically range between 5 to 8 years. The banks can also offer you an extension. However, the longer you take to repay a loan, the more interest you will have to pay. A good strategy could be to try and repay your loan anywhere between 5 and 7 years. It can save you a lot on what would otherwise go to the bank as interest. Every loan agreement will have a grace period after the completion of the course. This period is known as the moratorium and you can’t be compelled to commence repayment during this period. You typically get a year after the completion of the course or six months after you start working. Regardless of this being a holiday period for the loan, interest does get accumulated, hence, rather than saving money during this period to pay later, trying to pay the simple interest during this period is advised. Understanding how your bank calculates the EMI will help you plan your approach toward repayment. Additional Tip: You are entitled to tax benefits on the loan under Section 80E of the Income Tax Act of India, 1961. Under this, you can claim a deduction on the interest you have been charged on the education loan. 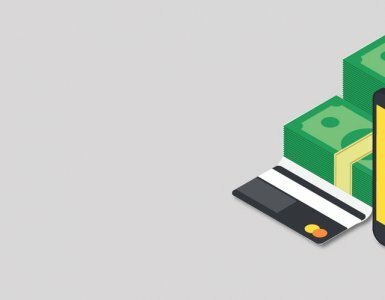 Loan Repayment – What is it and Why is it Important?